We offer a wide range of OEM Thermal Camera Cores for integration into products and services across several industries. These highly-versatile cameras are configurable by resolution, field of view, image processing and frame rate to deliver optimal performance in applications, such as Test & Measurement, Security Surveillance, Public Safety, Outdoor Recreation, IoT and Automotive. Designed for small form factor, lightweight and low power consumption, Seek Thermal cores deliver high-end thermal capabilities, accuracy, and performance to enable many new applications and products. Offer a range a thermal sensors from 102x77 to 320x240. 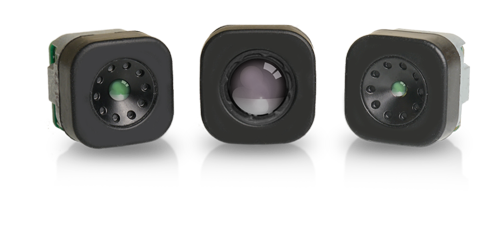 Several lens configurations available for various applications. ​Application-based image processing designed for your product needs. Ability to offer different frame rates for export compliance and many applications. If you are interested in using our OEM Thermal Camera Cores, please contact us by completing the following information.